This Friday, the 1st of February, is the anniversary of the ASU Equal Pay Case. The ASU Equal Pay Case outcome is the reason social and community sector workers get a pay rise in December. This decision didn’t just happen. Active ASU members are the real reason for this pay rise. 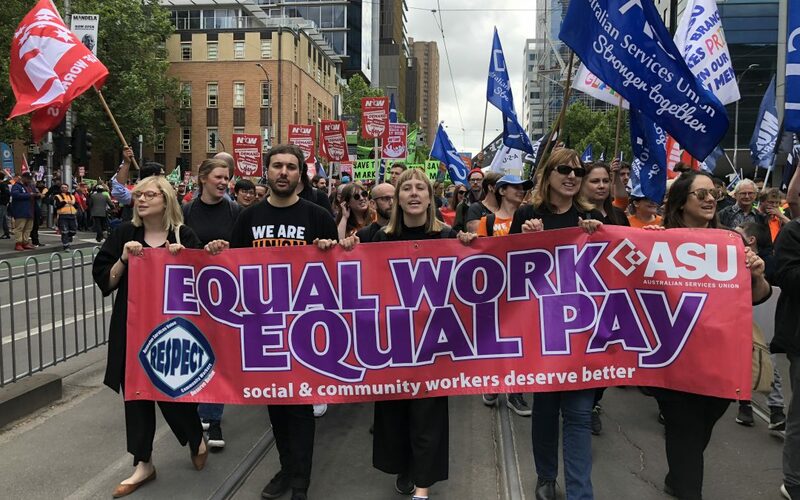 The Fair Work Commission didn’t just decide to give social and community services workers a pay rise. ASU members fought for it. Over the last 6 years these pay rises have made a huge difference to social and community workers’ pay packets. The extra money earned as a result of the ASU Equal Pay Case could mean a house deposit, less financial stress or the ability to stay in the sector. On Friday we celebrate a great victory for ASU members that increases your pay every December. So download the poster and put it up at work, and Wear Red to Work on Friday to celebrate the anniversary of the ASU’s Equal Pay Case. And most importantly, talk to your colleagues who are not yet members of the ASU and encourage them to join the union. ASU members fought for this win, let’s make sure we’re stronger together. It is easy to join online at www.asu.asn.au/asujoin.